This is our first of many (I hope) newsletters that will help us all to stay connected and up to date on events and happenings with our Student Ministries programming. We meet most Sunday nights from 5 - 7PM and Sunday morning from 9:15 - 10:15AM. I want to offer a quick thank you to all of you and your involvement in our new youth program. You have been kind and accepting and encouraging. I look forward to spending 2018 with you all! 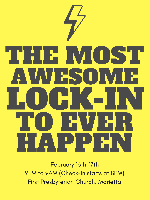 The Most Awesome Lock-in to Ever Happen! Our lock-in in partnership with Sand Hill UMC and The Journey Church of Marietta has been moved to February 16th. Doors will open at 8:00PM and events will begin at 9. There will be live music, guest speakers, awesome games, food, and an amazing cereal bar to help send us home on a high note! Throughout the night, we are going to be taking a closer look at what the Gospel as a whole looks like when applied in our lives. We often say that Jesus is all we need, and that is very true. However, it’s good to know then what Jesus expects of us! So, rest up and be ready for an all-nighter! Volunteer sign-ups will be in the church lobby this Sunday! Super excited to see everyone come out! This trip is going to be an awesome time! We are headed to Charleston, WV (home state reppin’) for an amazing night of worship. 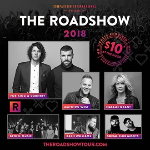 For King and Country, Bethel Music, and Social Club Misfits; just to name a few. We will stay at the church after morning service and have lunch together and hang out until around 230. Then, we will hit the road for Charleston where the doors open at 4:45. The show is supposed to run from 6-9, so I estimate we should be home around 11-11:30. The cost of the ticket is 10 dollars, and you will also need money for lunch/merch, etc. A sign up sheet will be in the lobby this Sunday. We are looking to travel with about 15-16 kids and 4-5 adult volunteers. This Sunday, February 4th, the youth will be participating in the Annual Souper Bowl of Caring. This is an opportunity to fellowship with our church, as well as benefit the Marietta Food Pantry. We will be meeting during the Sunday School hour to help set up and will be sneaking out towards the end of worship to get ready to serve. This is an awesome chance for the congregation to see the youth in action, and we hope you will join us! As kids hit adolescence, one of the key issues for developing a genuine faith (or in other words, "owning" their faith) is the extent to which they are able to think critically about it. The teenage brain is developing, and adolescence is the typical time when kids who have grown up in church begin to process what they believe, wrestling with tough questions, nagging doubts, and more complex issues of faith. Rather than repressing doubts and questions, wise parents will embrace and foster this season in a teen's life, creating an atmosphere where critical thinking is encouraged along with providing heavy doses of acceptance and coaching. Parents can express acceptance by sending their adolescent the message that genuine doubting and questioning is a normal, positive aspect of the spiritual growth process. And parents can coach their kids by coming alongside to walk with them as they work through their doubts and questions. Encouraging and facilitating teenagers to think critically about faith issues may produce a measure of fear and trembling in parents as it means loosening the reigns of control and protection. It means embracing the possibility that their child's faith may not turn out to be a carbon copy of their own. Kids may end up holding different beliefs on issues of faith. They may even move away from the community of faith they have grown up in because they've been allowed to think critically. But consider the alternative: a disinterested church kid who may intellectually know facts about the Christian faith, but who is unable to authentically connect faith and life. Some of these young adults walk away from church as soon as they are able. Knowledge about the facts of Christianity alone will not make for a personal, vital, and real faith that equips kids to live out their faith in the real world. Rather, when parents who encourage their kids to think critically; to wrestle with the complex issues of Christianity and provide them with a supportive, encouraging, and safe environment to do so -- will ultimately help them to develop a genuine and enduring "owned" faith that will serve them well throughout their adult years.